I came here on what was just about the only gloomy day in March 2007. 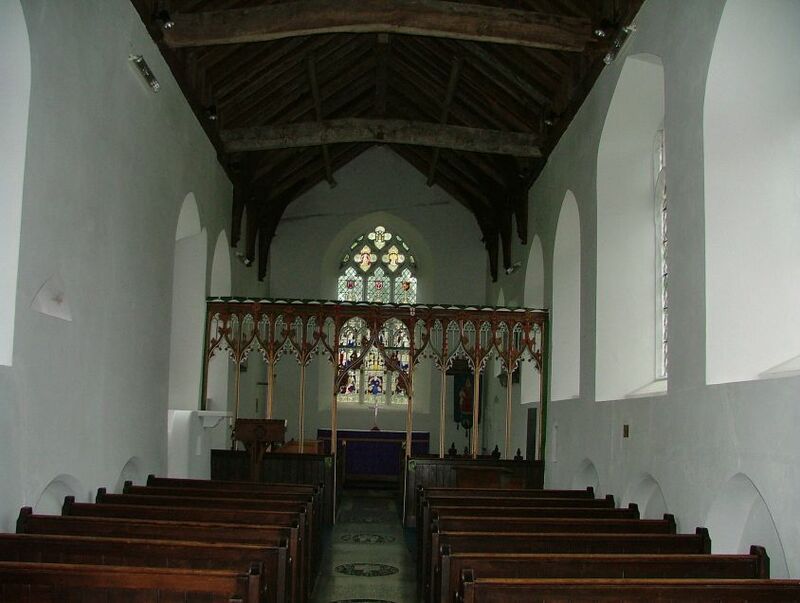 But Swardeston is an appropriate place to come to feeling slightly sombre, and it is a place to leave uplifted as well. 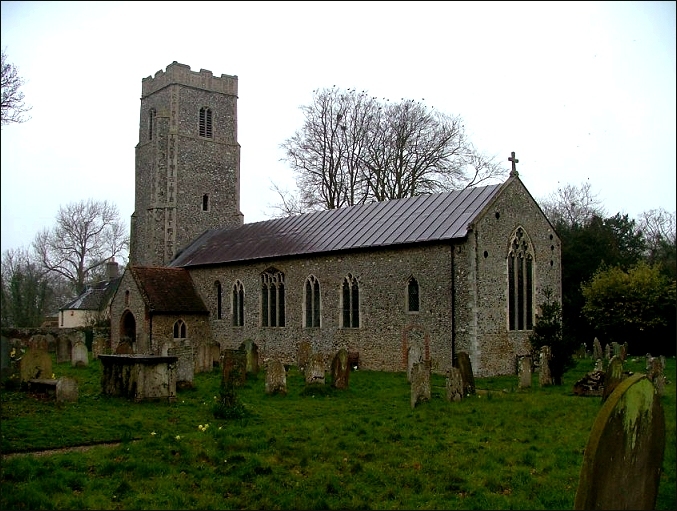 For forty-six years at the end of the 19th century and the start of the 20th century, the Vicar here was Frederick Cavell. He transformed the church and the village, and left it its greatest legacy. The first hint of this comes as you approach the church from the south. The bulky, granite war memorial is no different to a thousand others, except that the first name under the legend Pro Patria is Edith Louisa Cavell. It should be said that her name comes first simply in alphabetical order, but she was quite the most famous woman to be killed in World War One, and one of the most significant English figures of that slaughter. Her story was one of the most fondly told in the years after the War, an expression of Englishness. Indeed, a near-hysteria became associated with her legend. If the English nation hadn't embraced protestantism so firmly, then no doubt she'd be recognised as a Saint by now. Edith's father's church is a long, tall, simple building, all under one roof and probably originally Norman. 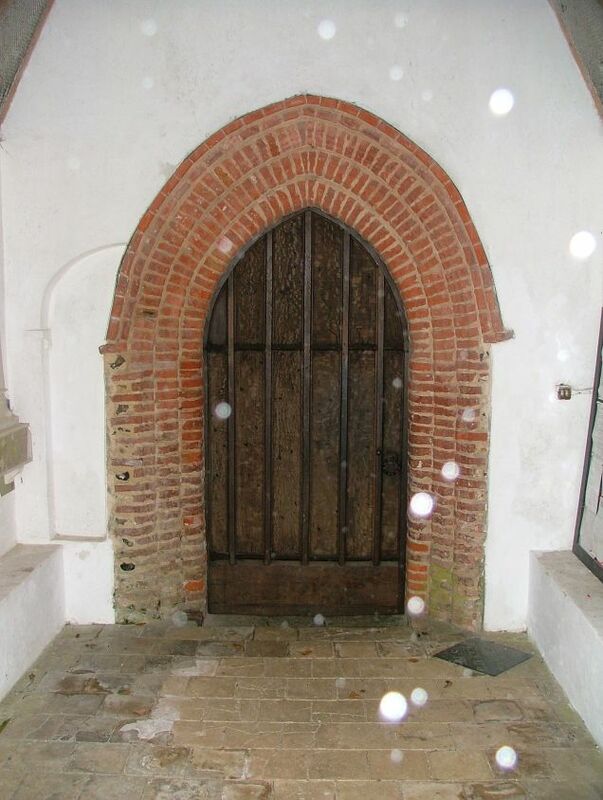 The 14th and 15th centuries saw a big rebuilding here, leaving the tower and most of the window tracery. 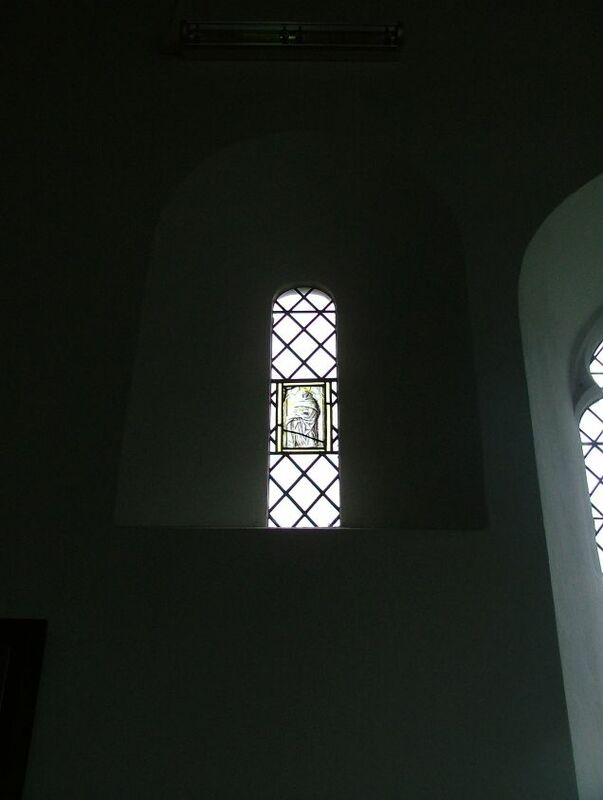 You step into a light space; the nave windows are almost entirely clear, and there is a sense of height. 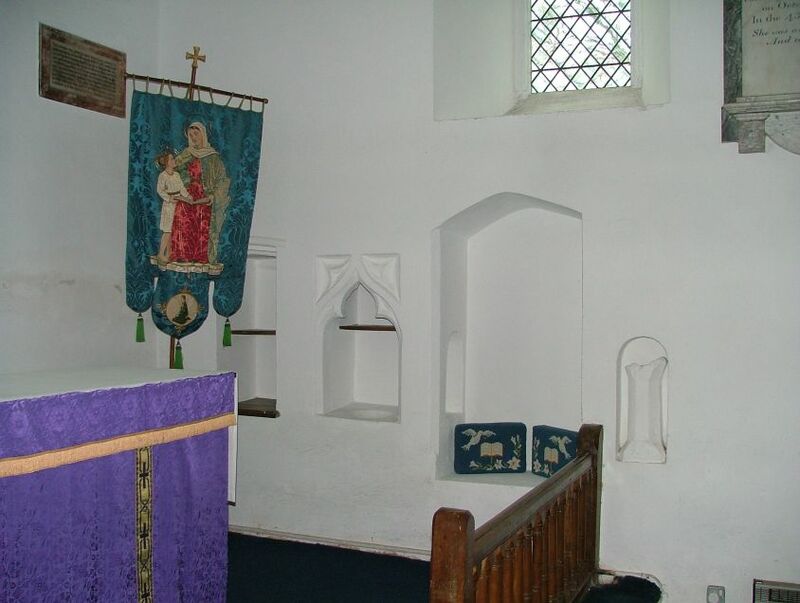 Edith Cavell's portrait hangs simply in the north-west corner. Frederick Cavell's first action on arriving in the Parish was to build a magnificent new Vicarage beside the church. It is today a private house. While the Vicarage was being built, The Cavells lived in a Georgian farmhouse nearby, and this was where Edith Cavell was born in 1865. Edith's letters reveal that her low church father was a bit of a puritan, and she would spend much of her early life wandering the parish, drawing and painting. At school, she showed a talent for languages, particularly French, and in 1890, at the age of 25, she set off for Brussels to work as a governess. Five years later, she was back in Swardeston, nursing her father through an illness, and this seems to be what set her mind to training as a nurse. She worked in hospitals in Kent, London and Manchester, before setting off back to Brussels in 1906. She ran a training school for nurses there, but often returned to Norfolk, and it was while in the county that she heard of the German invasion of Belgium in 1914. She made her fateful decision to return to the country, and would never see England again. From the stories, it is easy to imagine some dynamic, flighty young girl putting the world to rights, but of course Cavell was forty-eight years old when she headed back across the German Ocean. From then on, the story is well known. Her training school nursed soldiers of both sides, but she also saw it as her humanitarian duty to help hunted British soldiers escape back to England. Inevitably, she was caught, and shot by the Germans on the morning of October the 12th, 1915, a few weeks before her fiftieth birthday. 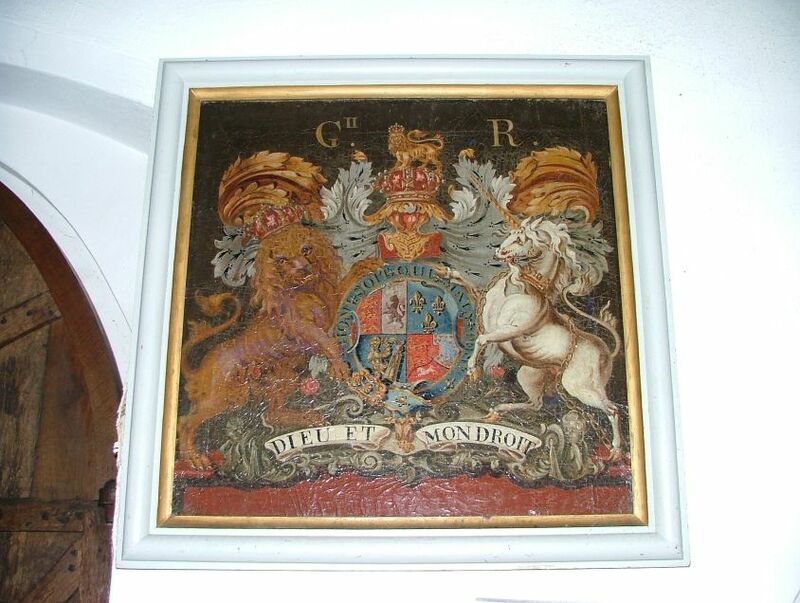 Her last words would have been familiar to any English person in the first half of the 20th century: Standing as I do in view of God and eternity, I realise that Patriotism is not enough. I must have no hatred or bitterness towards anyone. 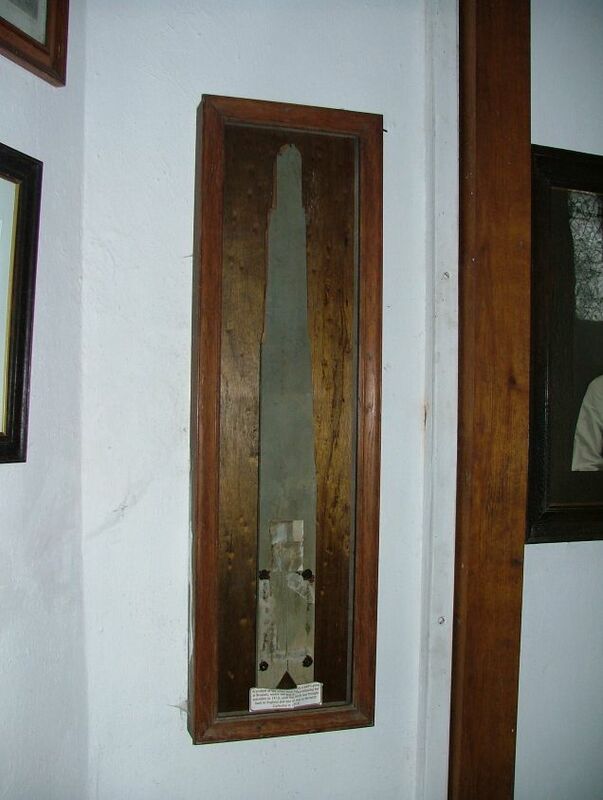 She was buried in a military cemetery, and part of the cross which marked her grave is now in a glass case in Swardeston church, like a holy relic. After the War, Cavell's body was brought back to England, and, after a funeral in Westminster Abbey, she was buried in the Cathedral close in Norwich. There is a fine, dramatic monument to her outside the National Portrait Gallery near Trafalgar Square, and a fairly awful one outside the Erpingham Gate of Norwich Cathedral. 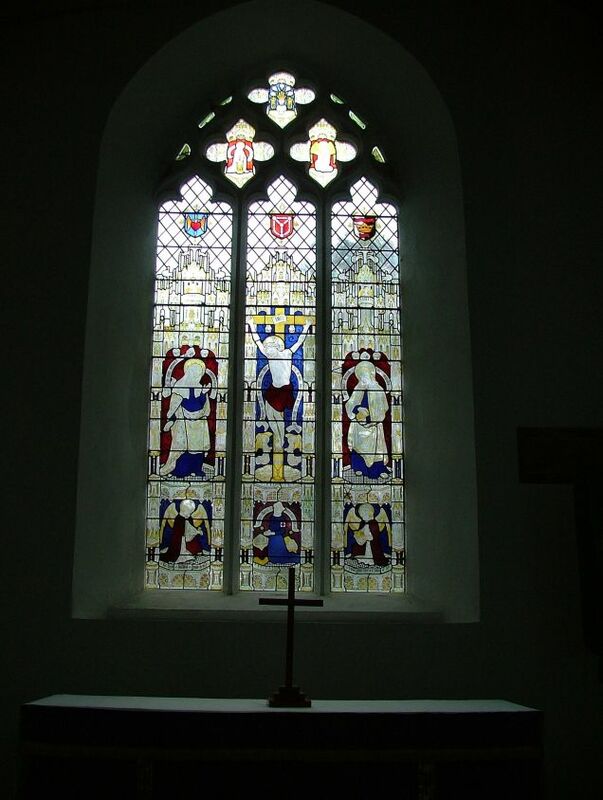 Perhaps the best memorial, though, is the east window here at Swardeston, completed before the end of the War by Ernest Heasman. In light, muted colours, Edith Cavell kneels in her nurse's uniform at the foot of the cross, accompanied by smaller, appropriate figures, including St Agnes, St Margaret and Florence Nightingale. No doubt this church still receives many visitors brought here by Edith Cavell's story, and you'll find it open every day. Also worth seeing are some images in continental glass, one a roundel depicting the Blessed Virgin and child with a Bishop, the other a rectangular pane depicting St Matthew. 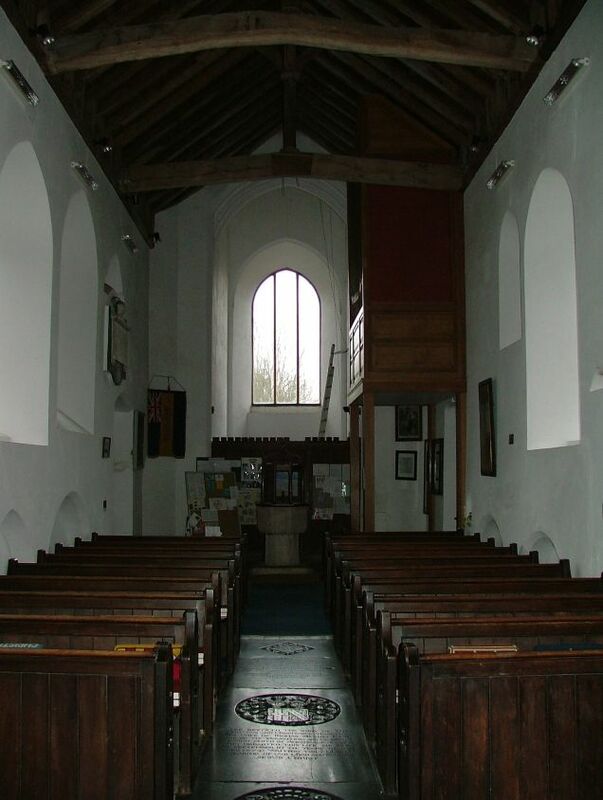 Frederick Cavell's low church restoration has left the interior simple and fitting. 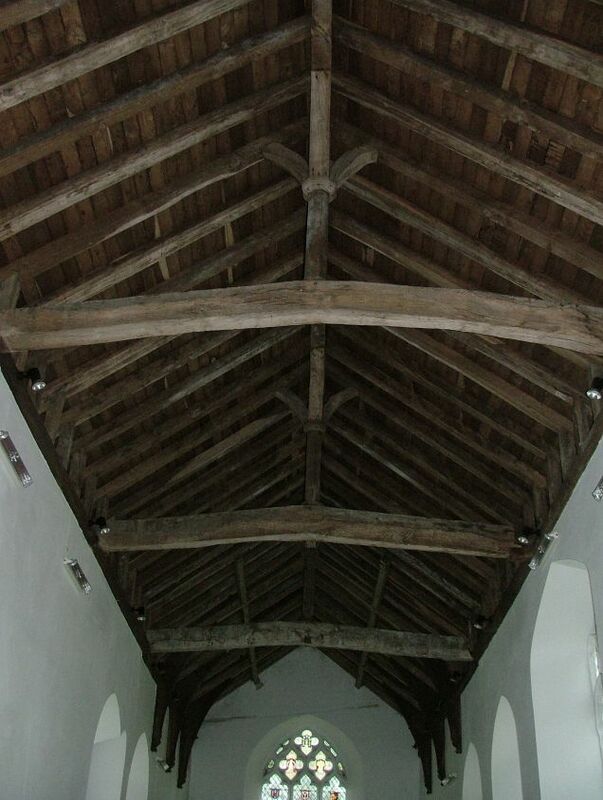 There are old benches, the skeleton of a 15th century screen, and the beautiful rustic timber roof. 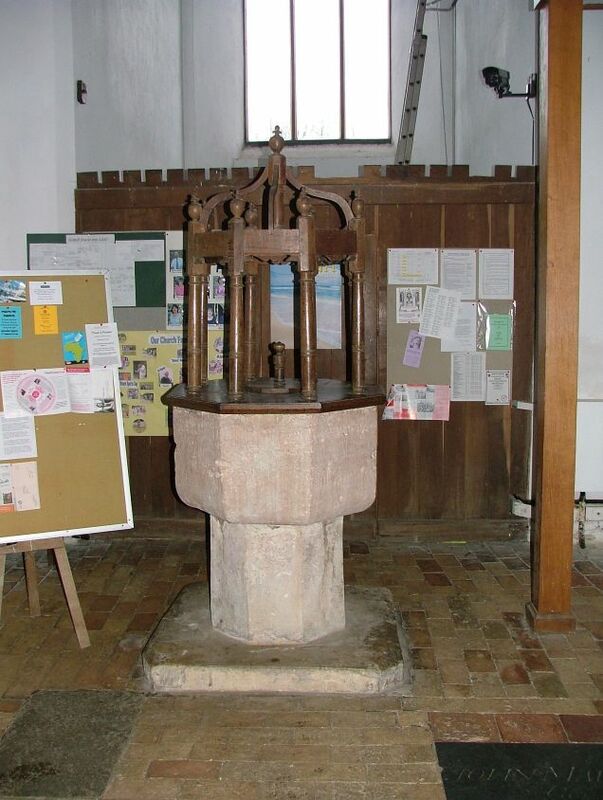 The font is large and plain, the 17th century font cover elegant. Nothing terribly exciting, but this building retains a feel of the time of its restoration, and Edith Cavell would certainly recognise it today. Outside, the weather was deteriorating, the gloom now punctuated by bursts of drizzle. The rooks collected miserably in the large oak to the north. But all along the path, the daffodils lifted their haughty golden heads and showed that Spring had come again.